Above: Winifred Nicholson (1893-1981), "Blue Hyacinths in a Winter Landscape". 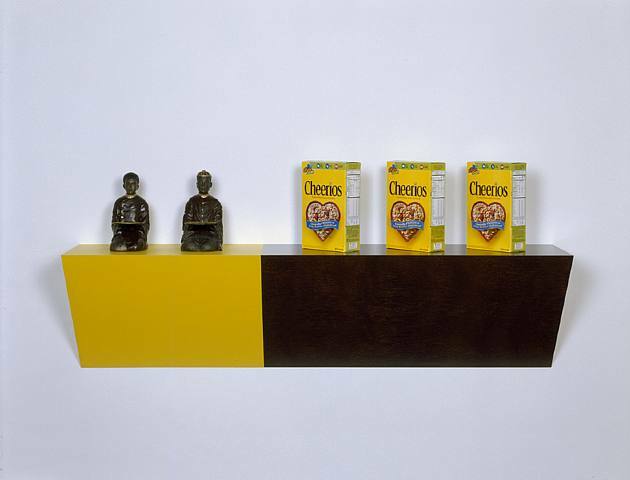 Above: Objects on shelves in our Studio. 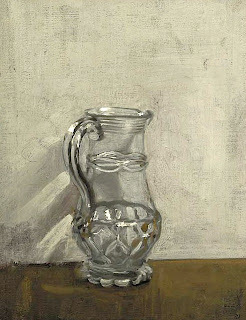 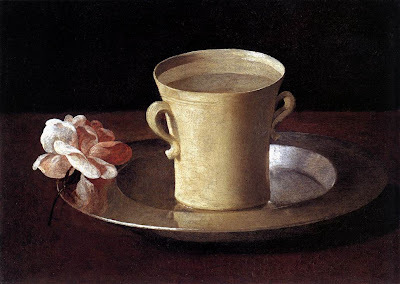 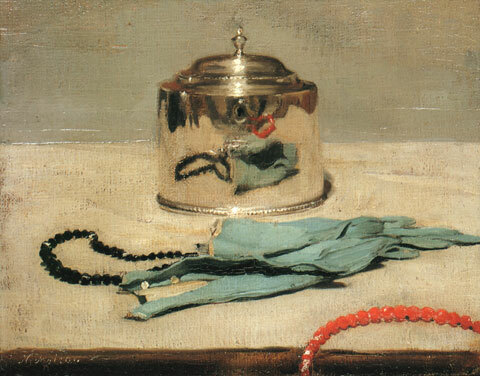 Above: William Nicholson (1872-1949), "The Trailed Jug", 1917. 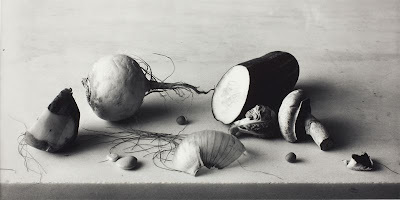 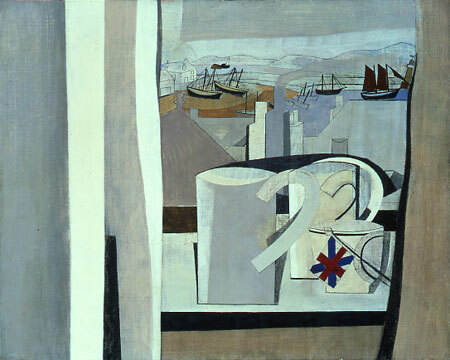 Nicholson's son is the artist Ben Nicholson. 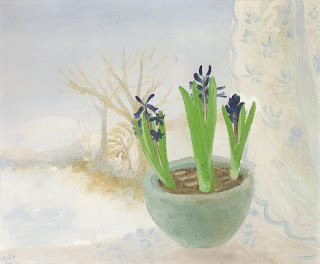 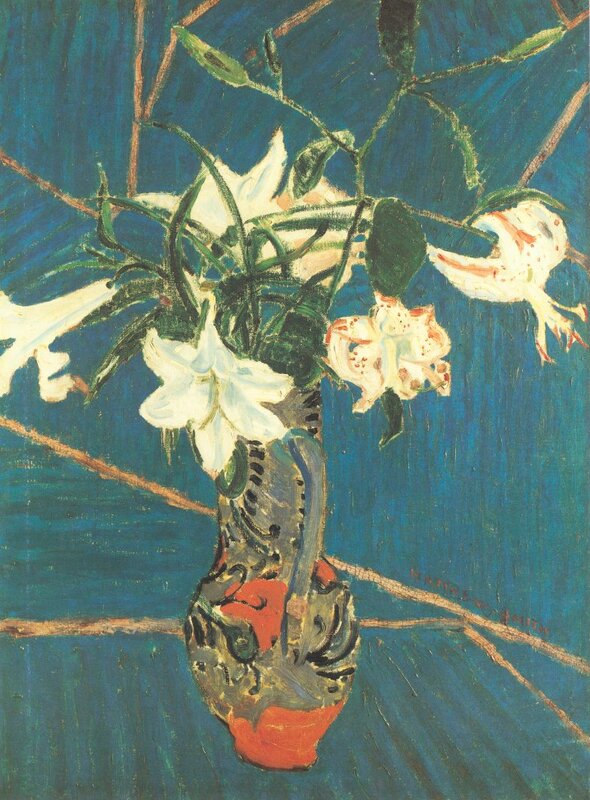 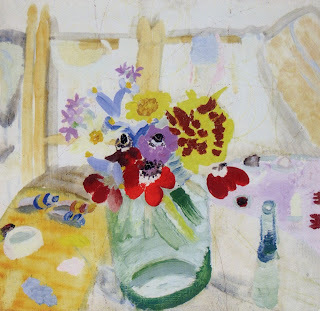 Ben Nicholson married Winifred Nicholson, one of my favorite painters, whose "Blue Hyacinths" started this post. 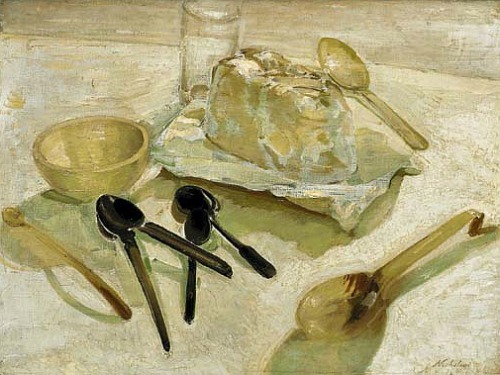 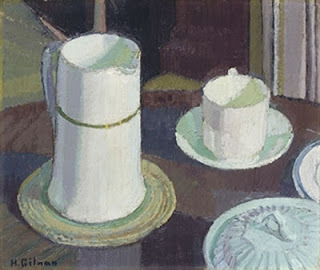 Above: William Nicholson (1872-1949), "Scottish Still Life"
Above: This is by William Nicholson's son, Ben Nicholson (1894-1982), "1943-45, St. Ives, Cornwall". Ben Nicholson is better known for his abstract work. Above: Harold Gilman (1876-1919), "Still Life of White Cup, Saucer, and Jug on a Table", 1917-18. 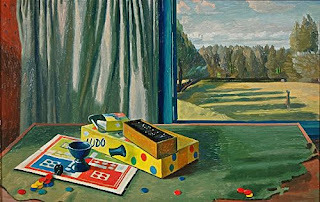 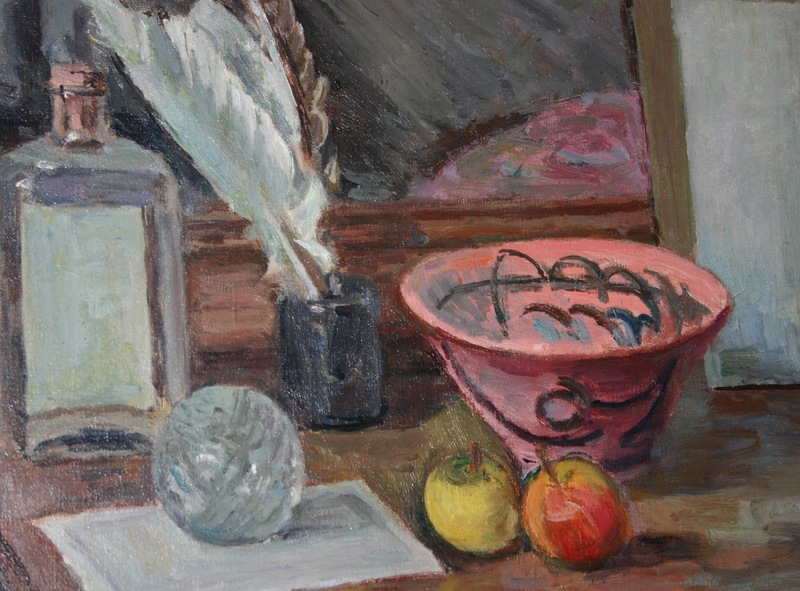 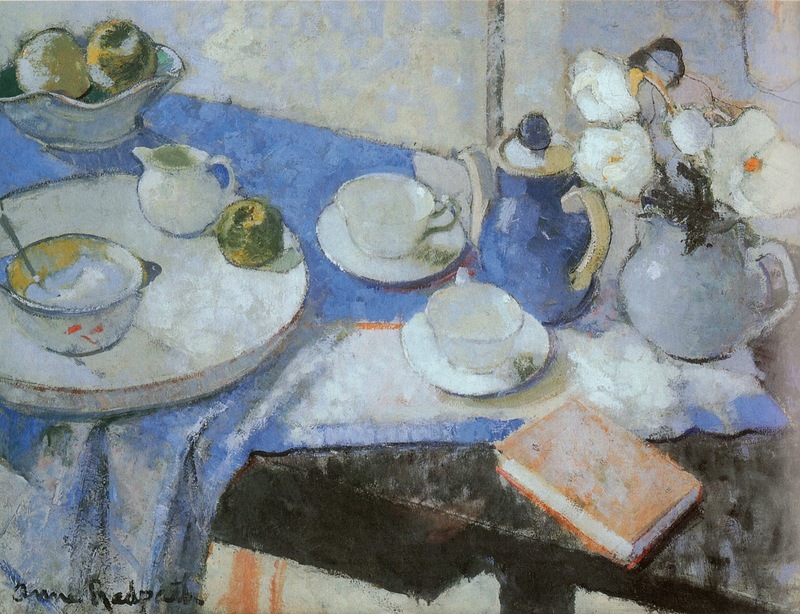 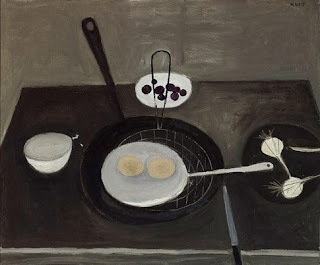 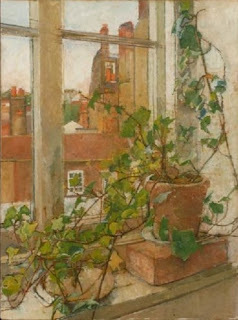 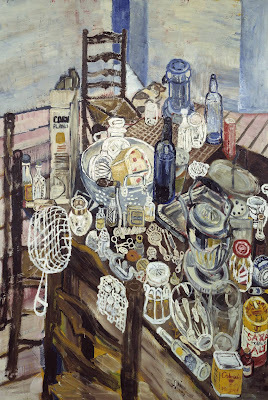 Above: William Scott (1913-1989) Still Life, Collection National Museums, Northern Ireland. 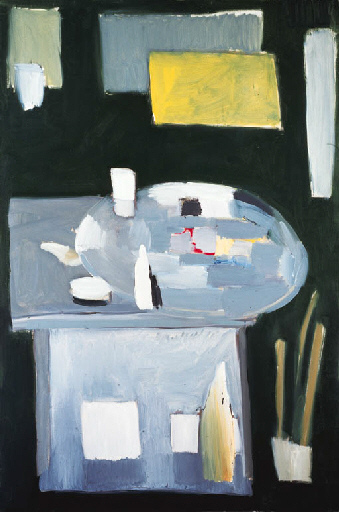 Above: Nicolas de Stael (1914-1955), "Atelier Vert"1954. 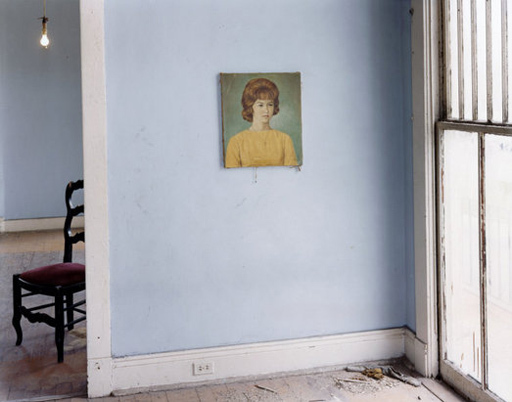 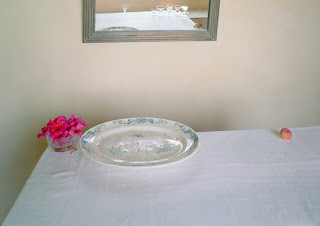 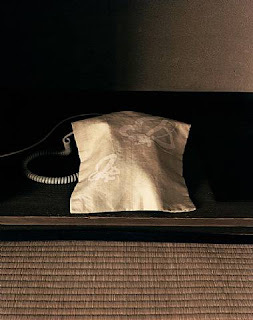 Above: Alec Soth (b. 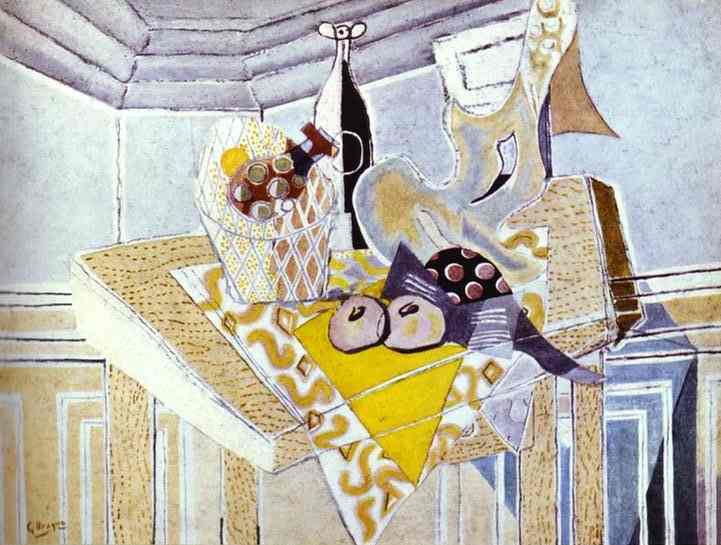 1969) from his project "Sleeping by the Mississippi"
Above: Georges Braque (1882-1963) "The Yellow Napkin", 1935. 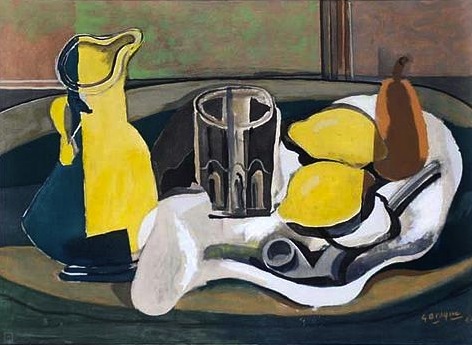 Above: Georges Braque (1882-1963) "Still Life with Lemons and Pipe", 1950. 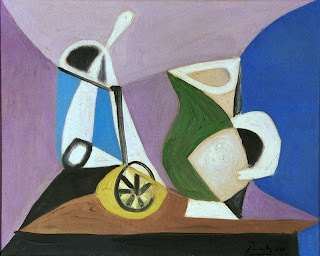 Interesting to see how Braques style evolved in the 15 years between these two paintings. 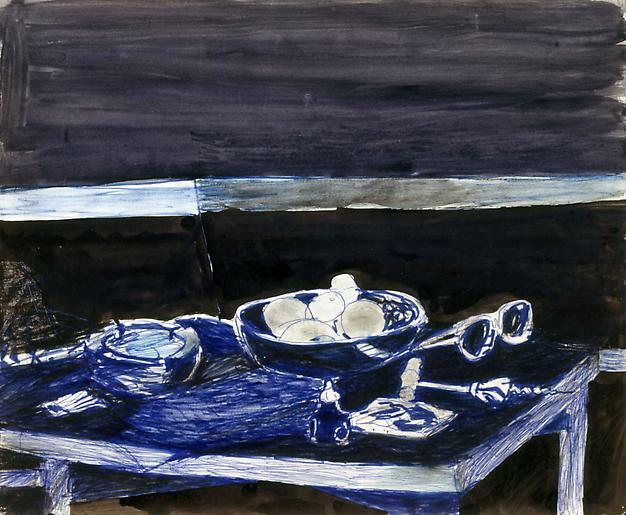 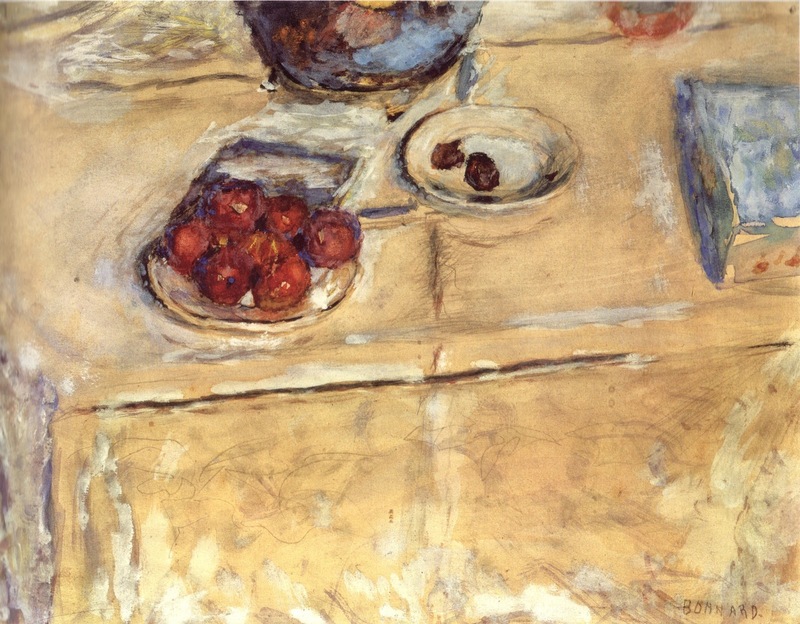 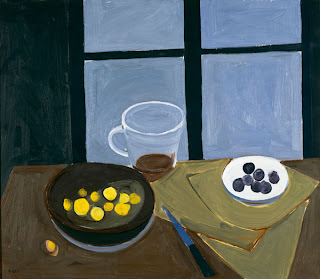 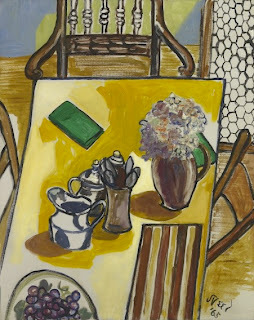 Above: Alice Neel (1900-1984), "Still Life (Breakfast Table)", 1965. 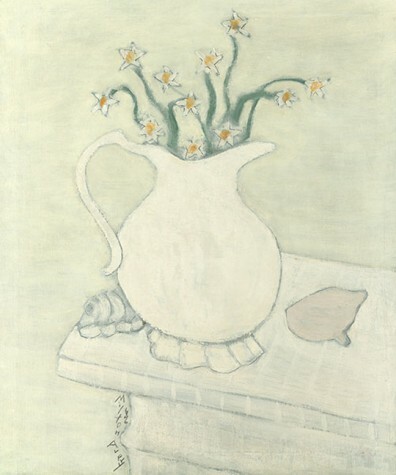 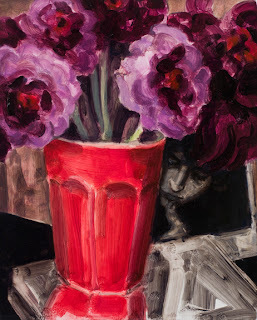 Above: Robert M. Kulicke (1924-2007), "Vase of Flowers". Kulicke is best known for his work as a framer. He is the inventor of the simple plexiglass box frame, and a welded aluminum frame that allowed consumers to frame art work for themselves. 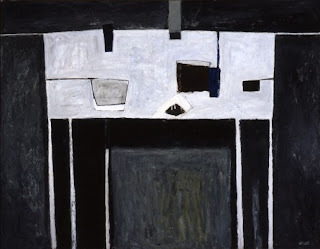 In 1951 he opened Kulicke Frames, becoming friendly with abstract expressionists like Robert Motherwell and Franz Kline, who asked him to design thin frames they thought suited their work. He started painting his small still life subjects after being exposed to 300 works by Morandi that he was commissioned to make frames for. 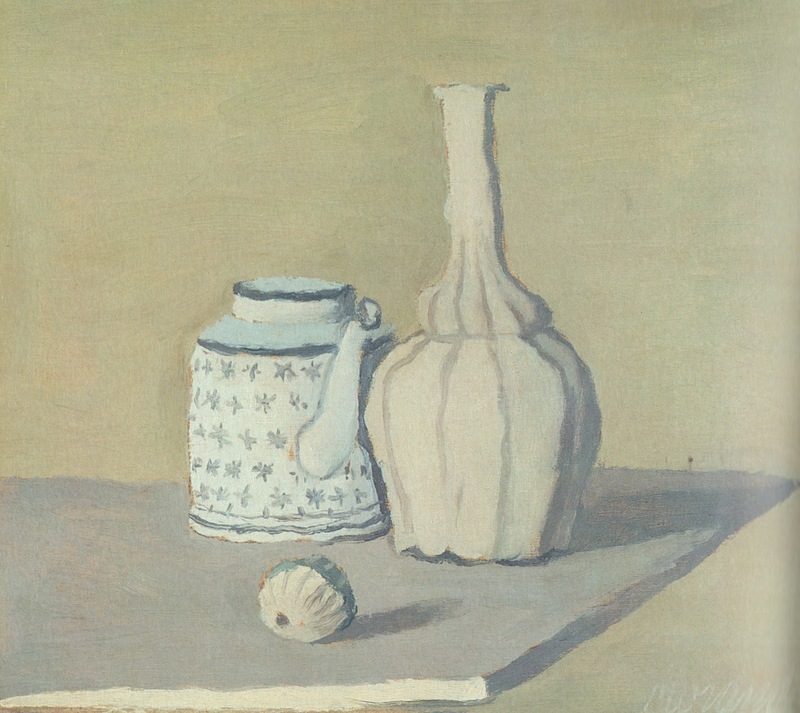 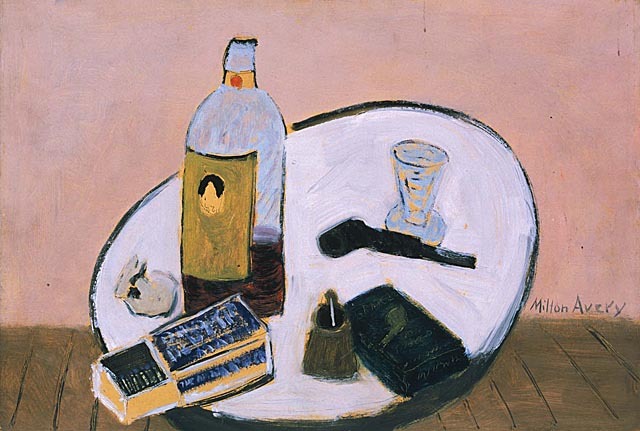 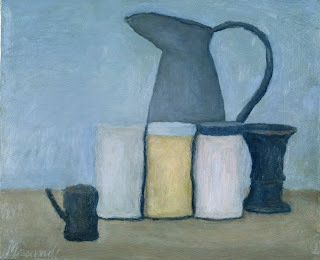 The small Morandi paintings of bottles gave him the confidence to work on small paintings with modest subjects. You can read more in this obituary written by Roberta Smith for the NY Times. 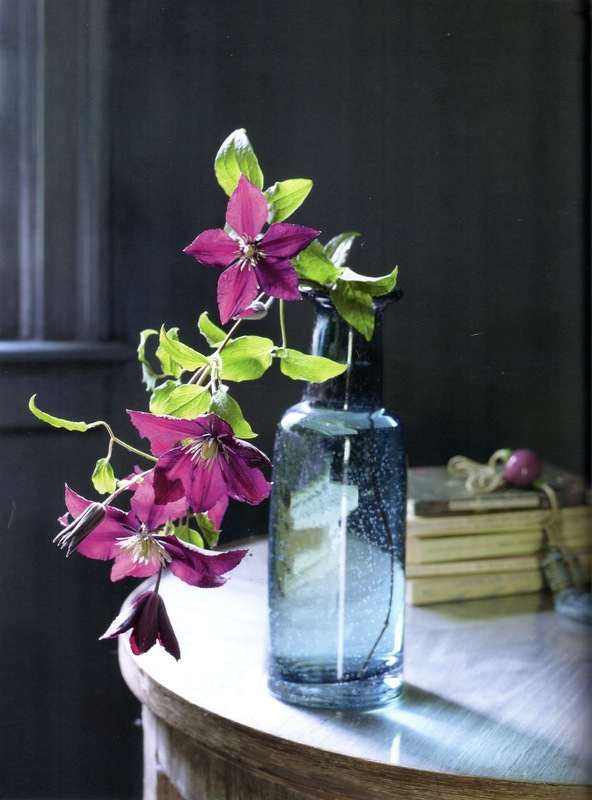 Above: From the book "Bringing Nature Home", by Ngoc Minh Ngo, arrangements by Nicolette Owen of the Little Flower School in Brooklyn. 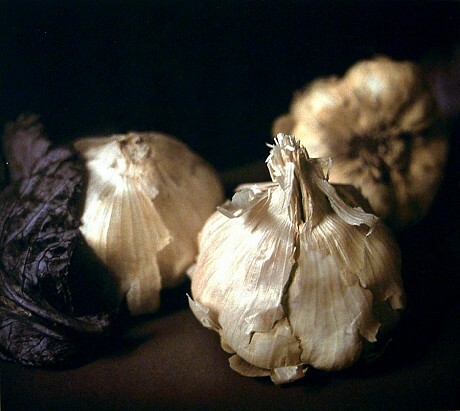 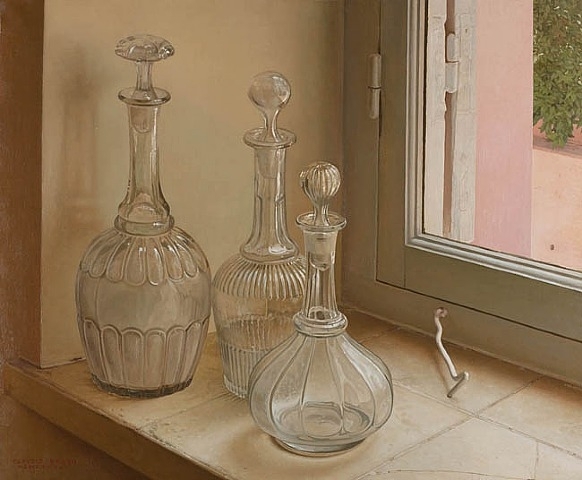 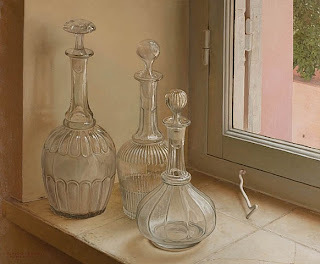 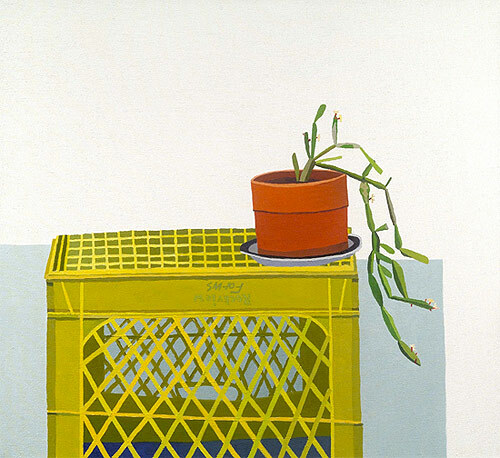 Above: Claudio Bravo (1936-2011), "Carafes", 1987, oil on canvas. 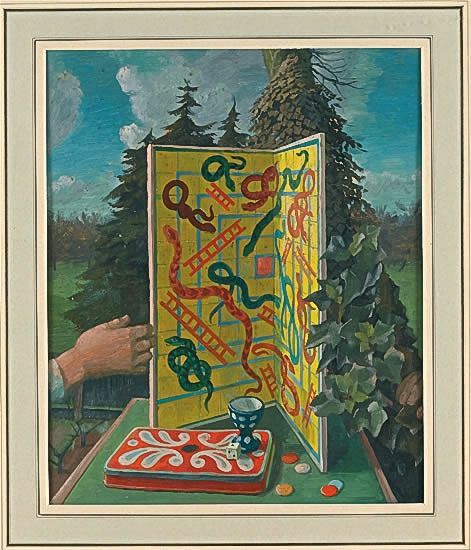 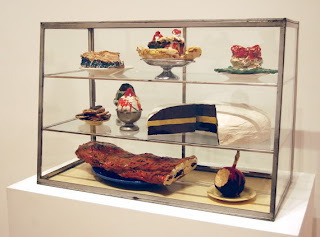 Above: Charles Mahoney, British Surrealist, "Still Life With Snakes and Ladder Board". 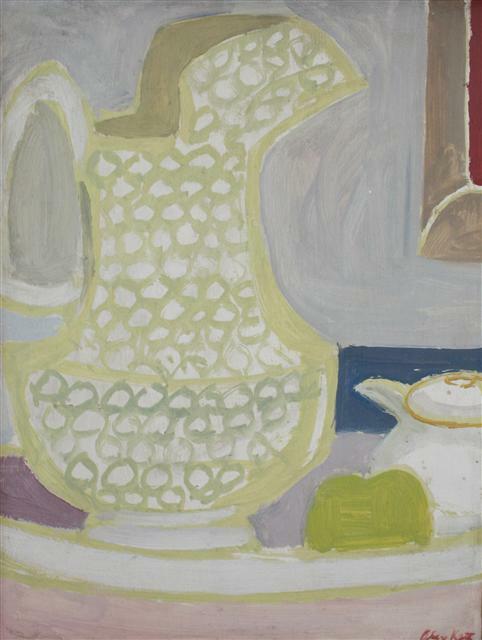 Above: Charles Mahoney, "Still Life With Landscape", 1959. 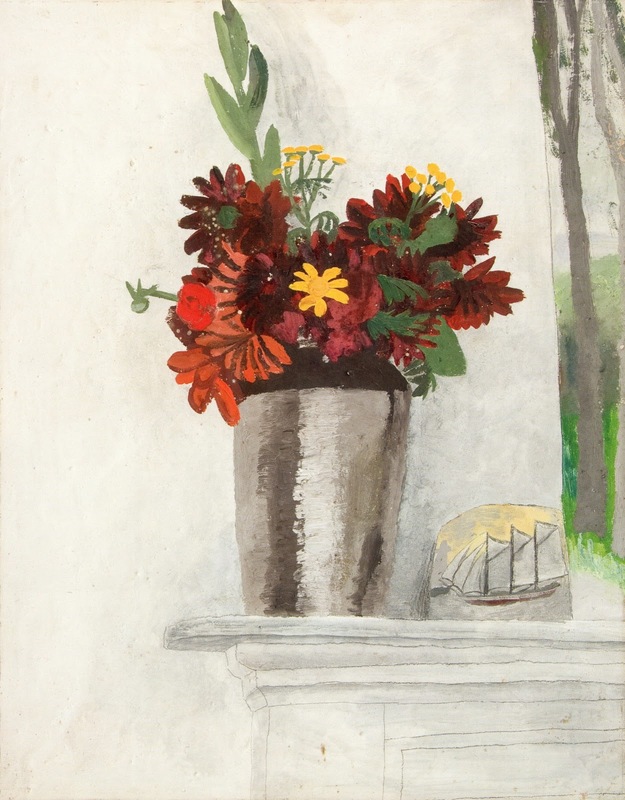 Above: Haim Steinbach (b. 1944), "Oz", 2009. Plastic laminated wood shelf, mount rabbit, rubber dog chew. 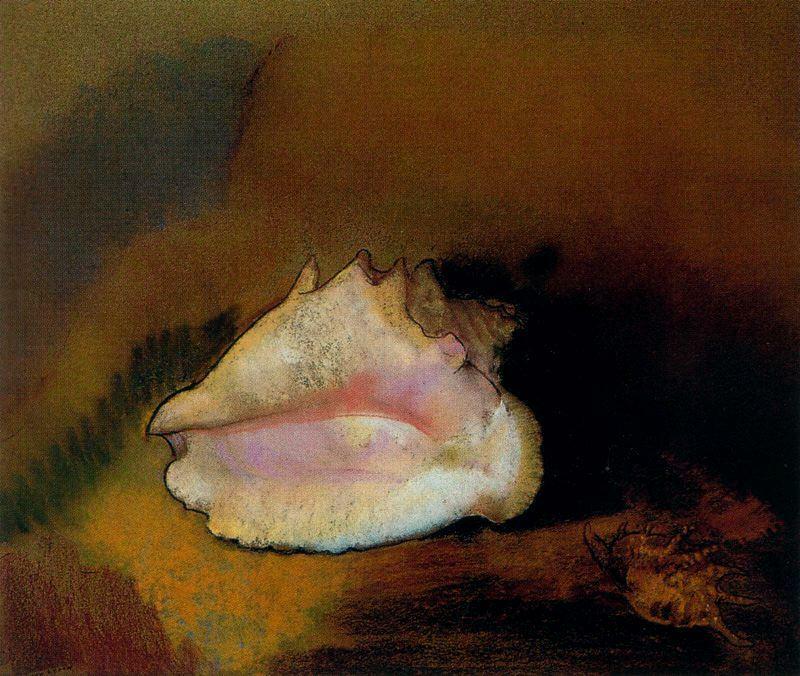 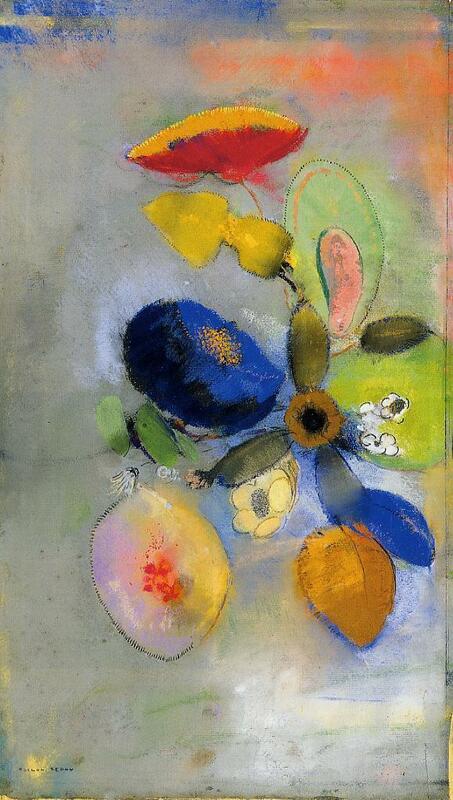 Above: Odilon Redon (1840-1916), "La Coquille", 1912. 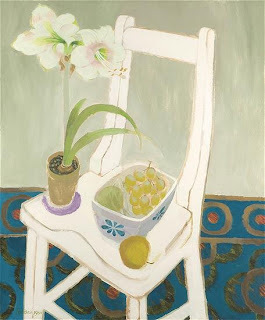 Above: Milton Avery (1885-1965), "Pink Still Life", 1938. 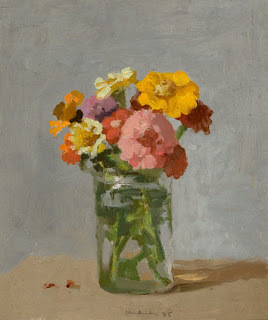 Above: Robert Kulicke (1924-2007), "Zinnias in a Glass Jar", 1985, 10" x 8.5", oil on masonite. 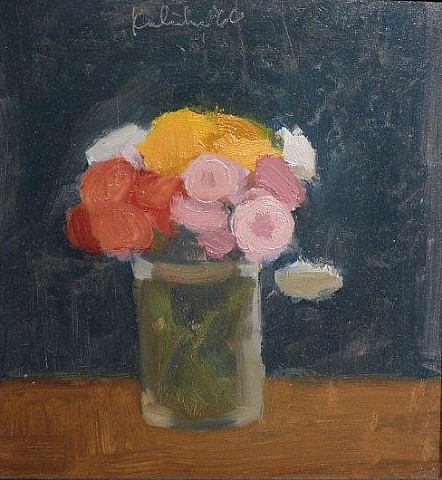 Above: Robert Kulicke (1924-2007), "Flowers on a Dark Background", 1960, 8" x 7.25", oil on board. 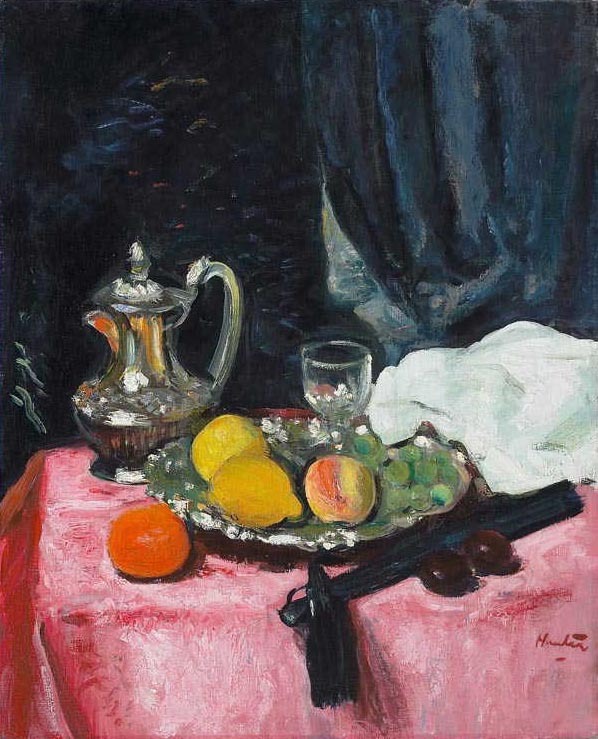 Above: George Leslie Hunter (1877-1931), "The Pink Tablecloth". Above: Elizabeth Peyton (b. 1965), "Pati", 2007. 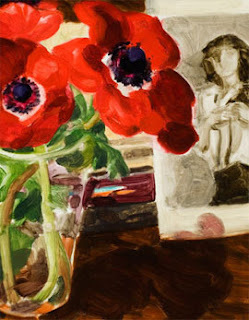 It looks like a photo of Patti Smith in the background, but according to the Guardian it's Peyton's friend Pati Hertling. 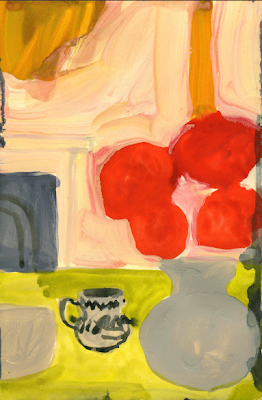 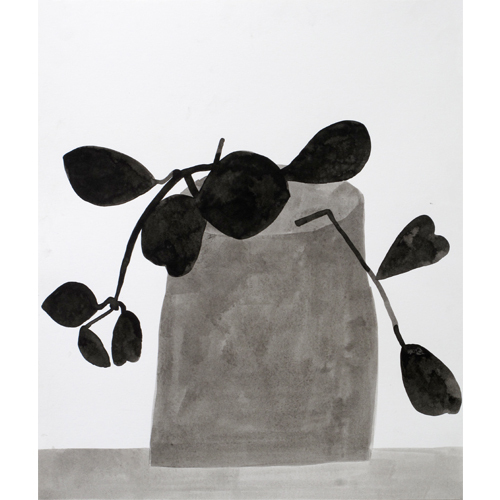 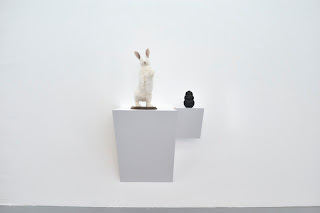 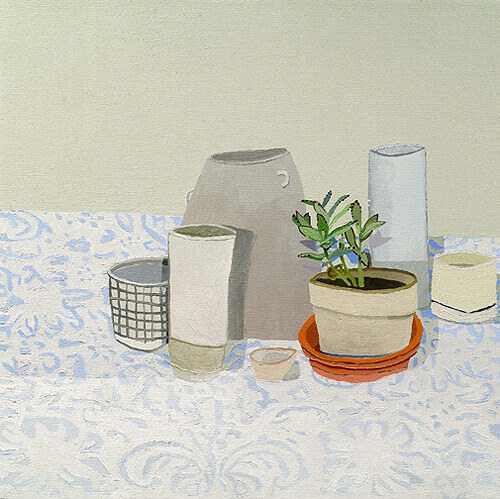 Above: Leanne Shapton, from her NY Times blog, "Tuesday Blooms". 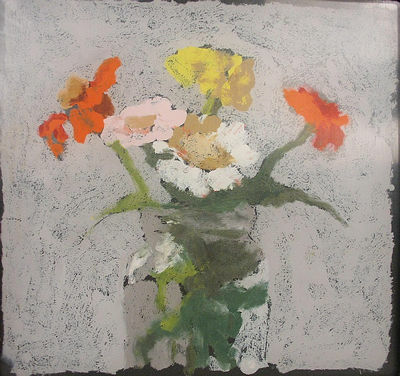 This is "Dahlias From the Angel Tube Station Flower Stall", London, December 6 2005. 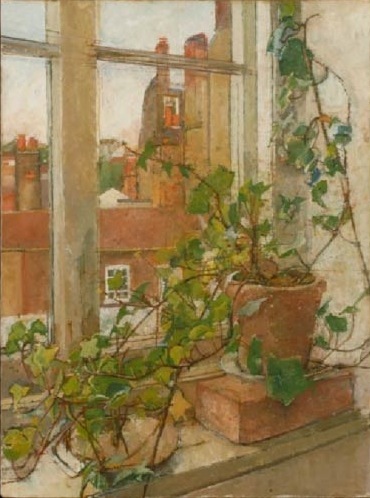 Above: S.J. Peploe (1871-1935) "Still Life with Books". 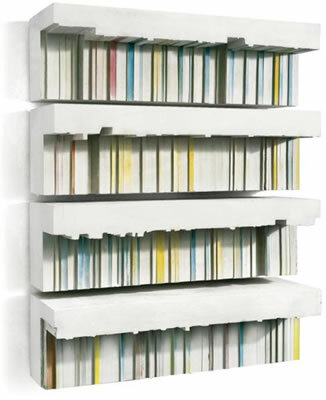 Above: Rachel Whiteread (b. 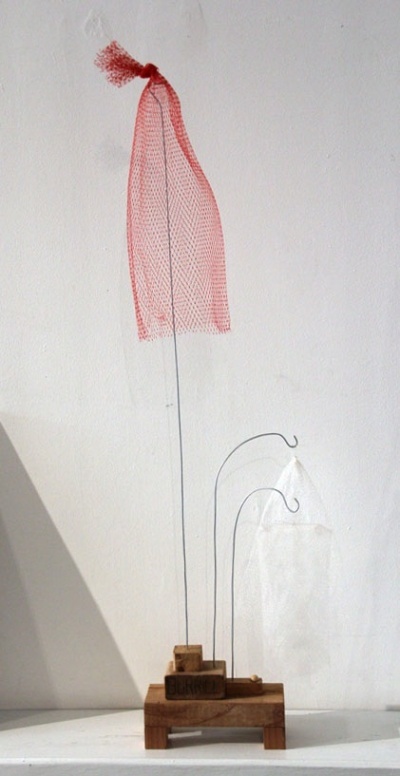 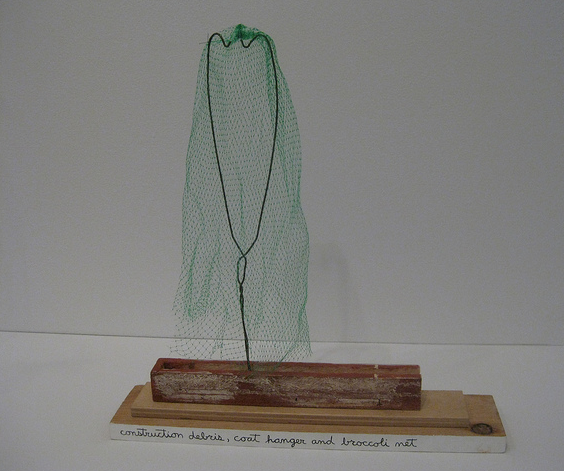 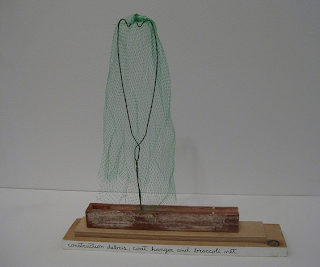 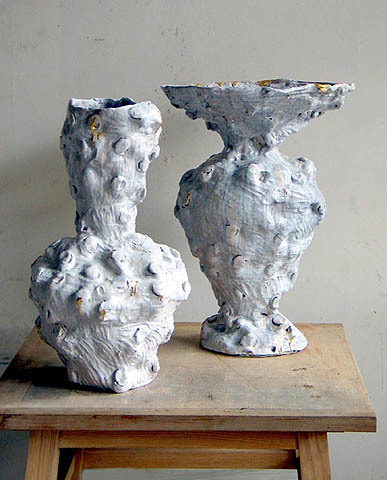 1963), "Vessel", 2008. Plaster, pigment, resin, wood, and steel. 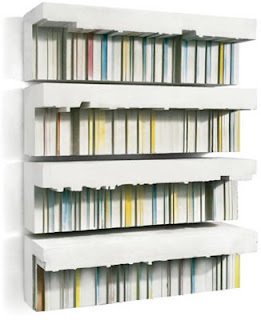 Above: Rachel Whiteread (b. 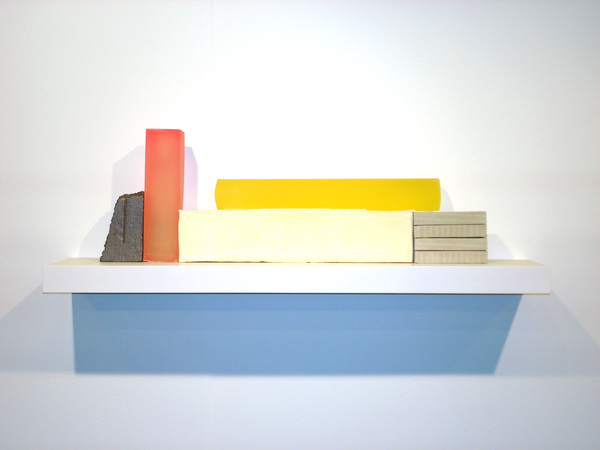 1963), "Untitled, (Colours)", 2002. 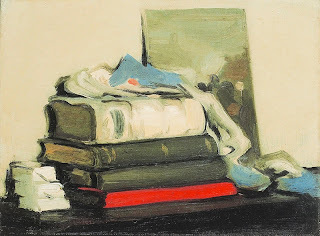 This is a still life of the negative spaces left in a bookshelf, the spaces that the books don't take up. 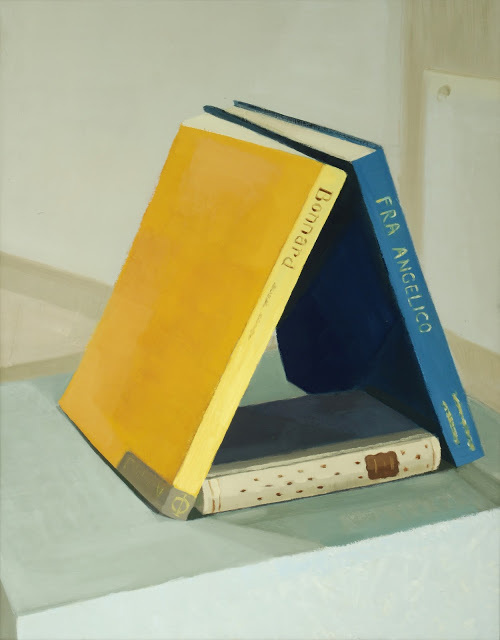 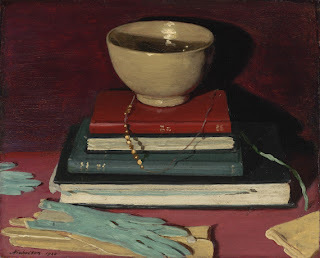 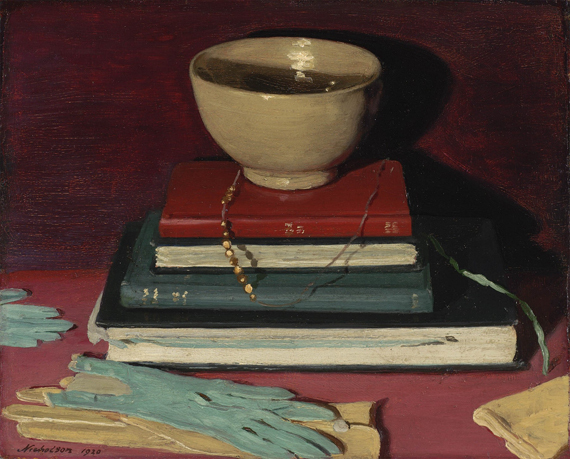 Above: William Nicholson (1872-1949), "Books and Things", 1920. 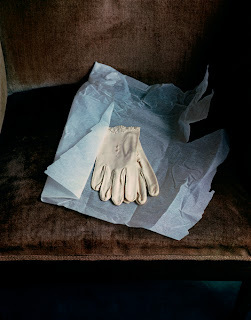 Above: Evelyn Hofer, "Marianne Moore's Gloves", 1983. 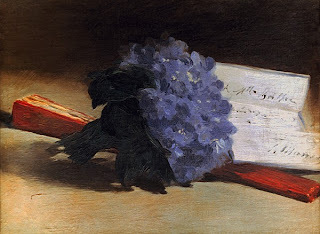 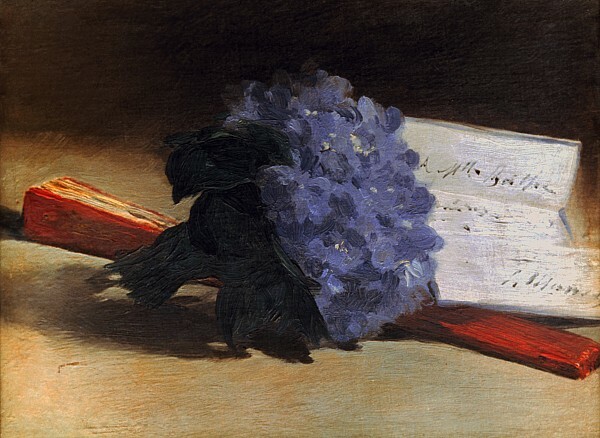 Above: Edouard Manet (1832-1883), "A Bouquet of Violets", 1872. 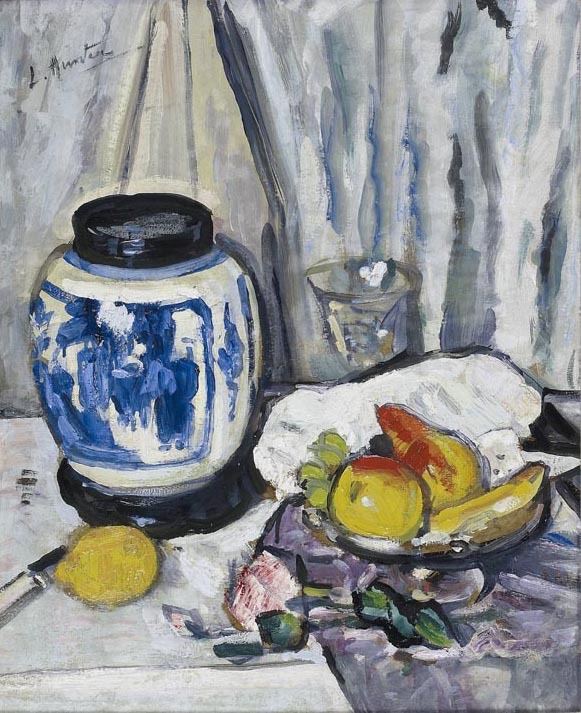 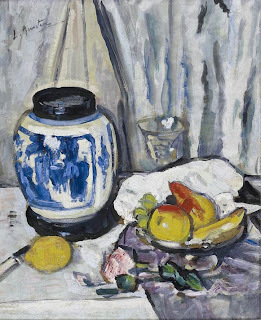 Above: George Leslie Hunter (1877-1931), "Still Life, Ginger Jar and Fruit"1920's-30's. Above: Ann Wyeth McCoy (1915-2005), "Yellow Flowers in Vase", 2003. 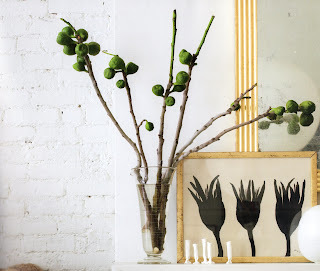 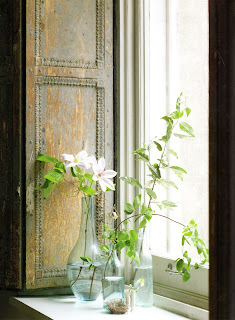 Above: Unknown painting, from this post on remodelista. 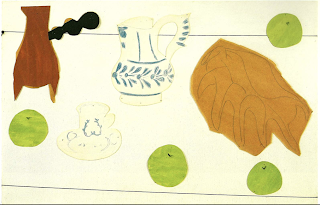 Above: Patrick Heron, "The Long Table With Fruit", 1949. 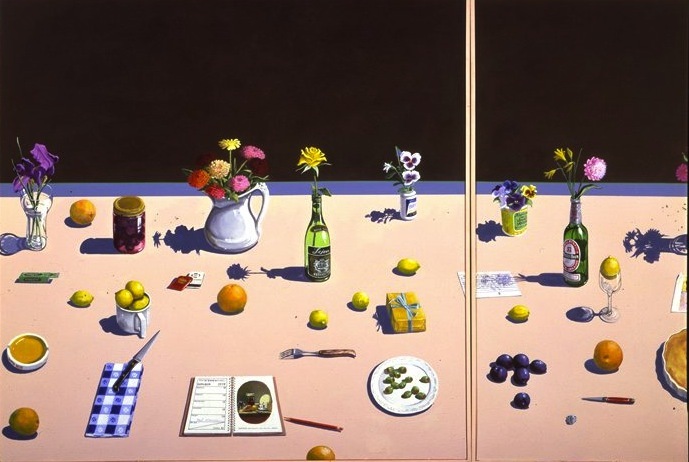 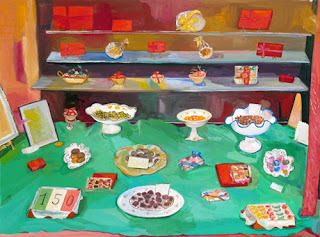 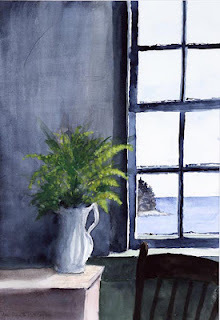 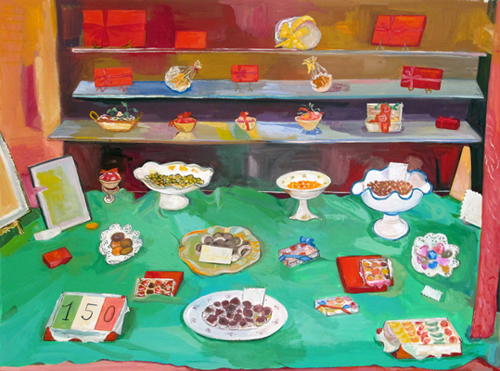 Above: Paul Wonner (1920-2008), "Dutch Still Life With Lemon Tart and Engagement Calendar", 1979. 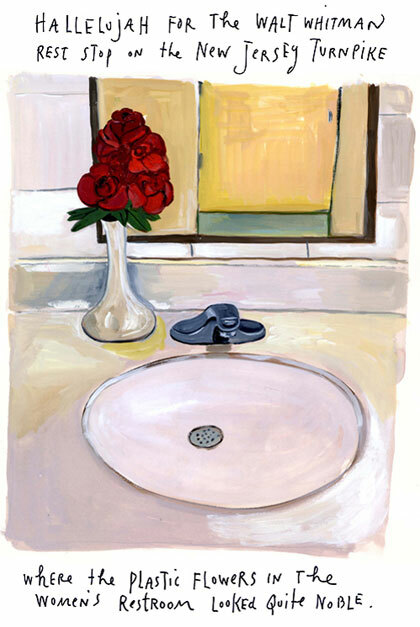 Above: Maira Kalman, from "The Pursuit of Happiness"blog on the NY Times, January 29th 2009. 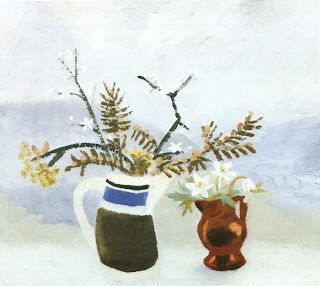 Above: Winifred Nicholson (1893-1981), "Autumn Flowers on Mantelpiece", 1932. 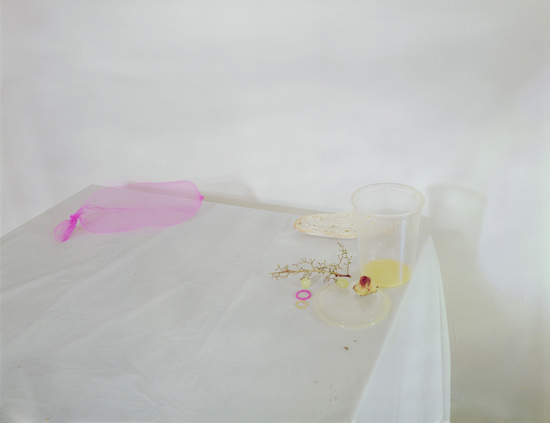 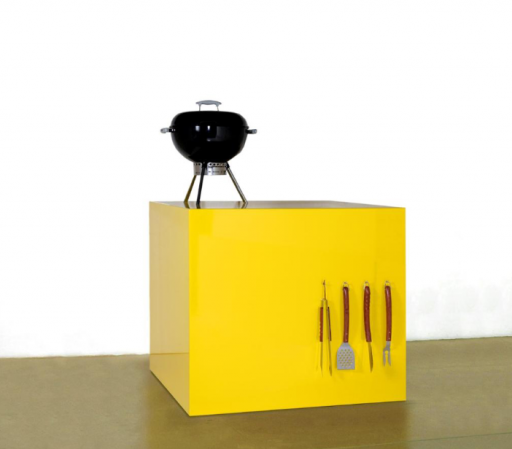 Above: Laura Letinsky, "Untitled #5", ( from the To Say It Isn't So series), 2006. Above: Laura Letinsky, "Untitled #92" (from the I Did Not Remember I Had Forgotten series), 2004. 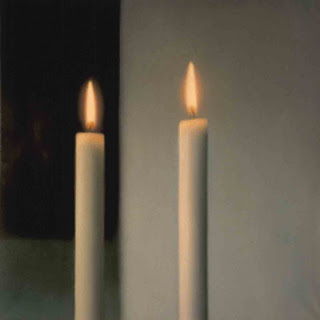 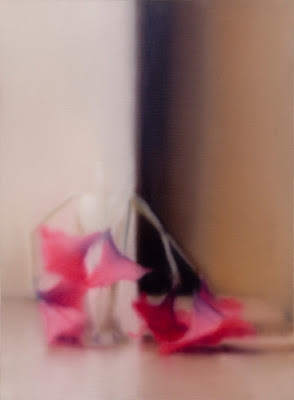 Above: Gerhard Richter (born 1932), "Flowers", 1994, oil on canvas. Such a nice group of images to feast upon after thanksgiving. 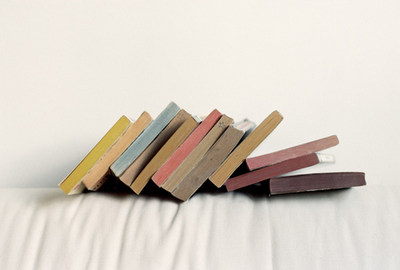 As always, candy for the eye and food for the brain. 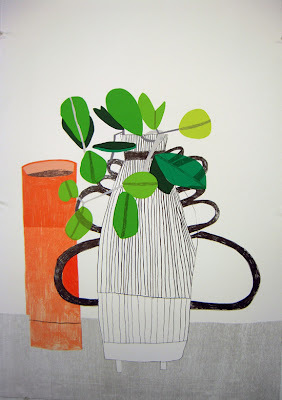 finally a peaceful moment to enjoy these images... and discovered several paintings by the artist my son Jakob is working for -- Jonas Wood. 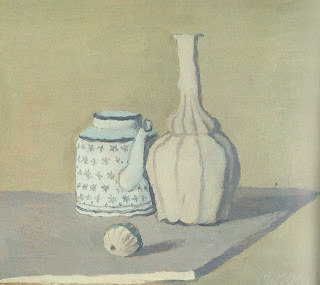 Better late, etc! 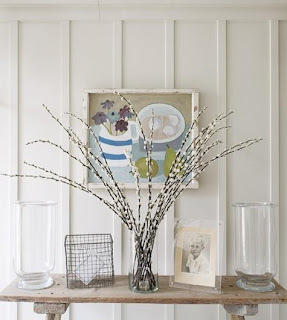 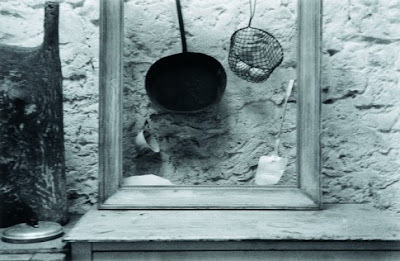 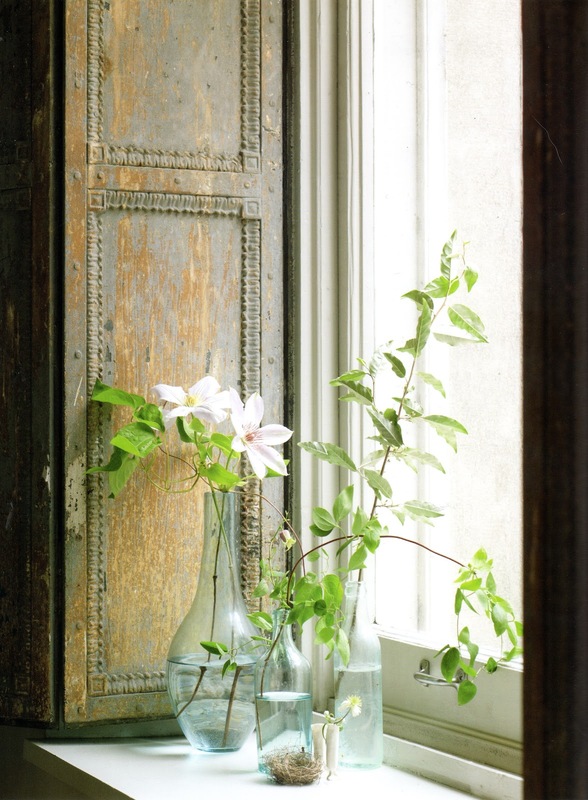 The unknown picture on the photo from the Remodelista looks very much like Elaine Pamphilion - she's one of best still-live artists I've ever seen. Thanks for letting me know about her...I'm curious to see her work.